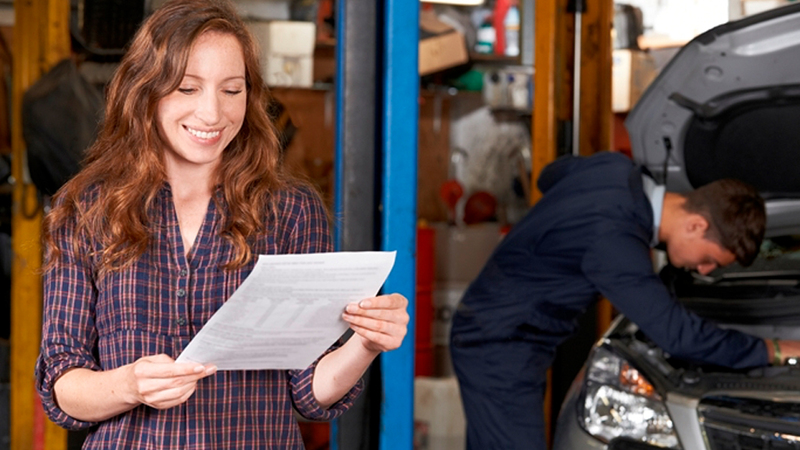 Developing customer loyalty should be a major priority for all vehicle dealerships. For a start, it is generally far more difficult to win a new customer than it is to invite back an existing one. Additionally, as the number of new vehicle registrations continues to slide, the ambiguity around Brexit, diesel regulation and general consumer uncertainty affect the reliability of dealerships’ new vehicle sales, it is sensible for dealerships to focus on maximising the opportunities from existing customers. But how do you do this? Most dealerships are aware of the nuts and bolts of what aftersales services should cover: MOTs, general troubleshooting, fault finding and repairs, with possibly a bit of valeting thrown in too. But developing genuine loyalty depends on much more than just having a well thought-through, and well-priced, selection of services. Sectors such as retail, hospitality, leisure and entertainment have long understood the value in developing structured customer loyalty programmes – after all, the Boots advantage card was launched over 20 years ago! While this exact approach might not be quite right for the automotive sector, there are still valuable lessons to be learned and potentially fed into dealerships seeking to enhance their customer loyalty. The basic principle of a loyalty card programme; build up points every time you make a purchase and cash those points in in the future, can apply very well in car dealerships. Even without the infrastructure of a smartcard system in place. Remember that you have flexibility and freedom to set up a points scheme in the most beneficial way for your dealership. You could dictate that points have to be put towards a higher end service that you might otherwise be less likely to sell. Alternatively, points could be allocated towards buying smaller, lower-value items – whatever structure works best for your business. The point is to both build up an ongoing relationship with the customer, encouraging them to keep coming back, and for the points system itself to encourage a purchase. Everyone likes to feel that they are special, and inviting customers to join an exclusive tier of a scheme can be a great way of delivering more personalisation and a better customer experience. You might choose to offer discounts or preferential rates to customers who are part of a loyalty programme, or even freebies which are cost-effective for you to give away but have a substantial impact on the customer. Depending on where your dealership is located, there may be great opportunities to team up with local organisations or attractions in order to form a shared approach to discounts and promotions. A member of your loyalty scheme waiting for their MOT to be completed could get a discounted coffee at a nearby café, for example. Once again, there is significant flexibility available to you in terms of how these are structured, and fairly small or simple discounts and giveaways can require a small investment, but nevertheless have a substantial impact on how your customers feel and their impression of your dealership. An ongoing service plan, whereby a driver agrees to bring their vehicle to you for regular services and sets up a payment plan to cover these, is the holy grail of customer loyalty for vehicle dealerships. If you are finding it more difficult to sell them than you would like, consider switching it up. Get feedback as to what customers like and dislike about the current plan. Consider ways in which the financials could be restructured to make it as cost-effective as possible for the customer. In a challenging economic environment, vehicle dealerships need to get creative when it comes to customer loyalty – but the possibilities are plentiful!